Parents confronting a lice infestation need solid and reliable help. 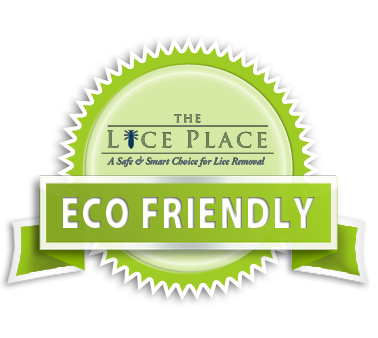 If you need Lice Removal Treatment Products & Services in Calera, call The Lice Place and let us eliminate your lice infestation. Anybody who has had to deal with lice knows what a problem it can be. Parents have to eradicate the infestation for children to be allowed back into school or after-care programs, but over-the-counter solutions don’t always complete the task. That means more time lost from school and work as parents struggle to eliminate the lice. The Lice Place can be a salve for working parents. Founded by a registered nurse and with a published success rate that is 99.6 percent—both one-of-a-kind claims nationwide—we offer safe and effective treatment of head lice and nits. Penny Wagner, the founder of The Lice Place, spent many years in nursing, and she assembled a professional staff with almost three decades of experience. Unlike franchises that rely upon pesticides and other toxic chemicals, we use the Warner Method, which combines combing with manual removal. All treatments take place in a private room. We are also committed to helping parents, and so we gladly answer questions and help the education process (without the alarmist tone that is so common). We also complete all treatments ourselves, never sending families home to administer future treatments themselves. We are so convinced that we can eliminate your troubles with live that we guarantee all treatments for 30 days. So if you are shopping for Lice Removal Treatment Products & Services in Calera, call The Lice Place at (205) 424-5165 and let us help you today.